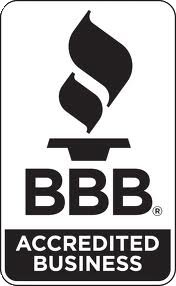 ClearDefense Window Film of Va., Inc. provides excellent service and quality to their customers. Installation personnel must be trained and accredited by CP Films. Employees are knowledgeable in the latest film applications and standards and, more importantly, possess a high degree of professionalism. Highly trained personnel combined with a strong manufacturer warranty has allowed for hundreds of satisfied customers to feel confident in their choice of ClearDefense Window Film of VA, INC. for their window film needs. Benefits of ClearDefense for the Homeowner. ClearDefense Window Film of Va., Inc. uses Vista Window Films for its superior quality and durability. Vista Window Film provides many benefits that will enhance the overall comfort, beauty and value of your home. A micro-thin layer of protection provides noticeable benefits that improve comfort and security year-round. 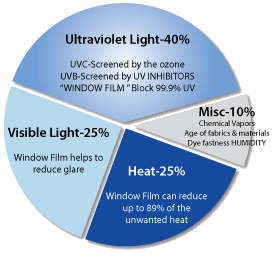 Vista window film significantly reduces heat and glare along with 99% of the sun's harmful UV rays. Your view will be enhanced, your energy bills will be reduced, and your furnishings will be protected from excessive fading. Once completely bonded to the glass Vista Window Film is virtually undetectable and deceptively durable allowing for easy cleaning. The sun radiated enormous amounts of energy, although only a tiny portion reaches the earth in the form of electromagnetic radiation. The electromagnetic spectrum is split into three bands by wavelength: the ultraviolet band, the visible band, and the near-infrared band (heat). While all three portions of the electromagnetic spectrum contribute to fading, the ultraviolet band is the most significant contributor. 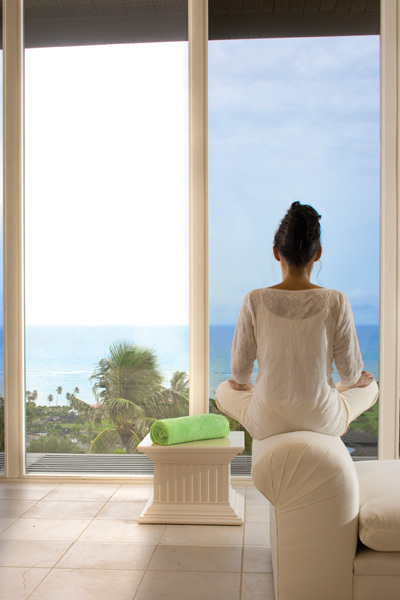 Vista Window Film filters out 99% of the sun's harmful UV rays. Benefits of ClearDefense in Commercial Properties. Hospitals, office buildings, art galleries and every other type of commercial space have recognized the benefits of window film technology. Whether it is for safety/security, energy efficiency, privacy or just purely decorative. ClearDefense Window Film of Virginia, Inc. has a solution for any need. •Reduced glare providing for increased tenant comfort as well as improved productivity. •Uniform external appearance that enhances the building's architecture and appeal. •Helps retain glass in the case of forced entry or environmental damage. •Privacy films offer a low cost alternative to replacing existing glass. •Ability to add custom logos or architectural elements to existing glass. WINDOW FILM OF VA, INC.